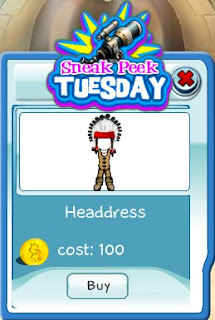 The Sneak Peek Tuesday item is really cool, a Native American Headdress! You get a feather headdress, leather vest and pants, plus boots. It's only on preview today!